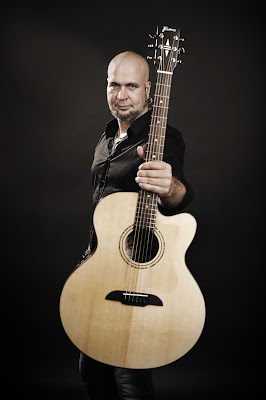 Three weeks before the Headliner gig of Schandmaul on the Reeveland Music Festival in Markneukirchen, frontman, singer and acoustic guitar player Thomas Lindner joins the Warwick&Framus Family and will play Framus Legacy guitars from now on. His instrument of choice is a Jumbo with its special view and sound, and we hope, that this instrument will enrich the medieval/folk influenced sound of his band. Thomas is the third Schandmaul member joining the Warwick&Framus Family, he follows bassist Matthias Richter playing Warwick basses and Martin Duckstein playing Framus guitars.